Do आप think rose loved her husband as much as she loved jack? Who did आप hate the most? How many times did Jake Dawson किस Rose Dawson in the movie Titanic? What are some of your प्रिय Jack lines? What are some of your प्रिय Rose Lines? "Yes. Out like a light." Jack कहा sitting down on the सोफ़ा, सोफे अगला to Rose. "I've been thinking." "Well. Remember on टाइटैनिक when आप कहा आप wanted to go to that Pier down in Santa Monica? Well, do आप still want to go?" "Jack! आप remembered that?!" Rose yelled hugging into him. Jack was lying down in his hospital bed, the same place he had been for the past five days. The surgery on his knee went fine and he was going to get out soon. He was then awoken द्वारा a worker "Excuse me. Where are my wife and kids?" he asked, a little groggy due to all of the sleep. "I'm sorry. No one came here with you." She कहा as she was clearing his खाना tray. "Yea, it does. So is this the one आप want?" Jack asked. "Daddy! Daddy!" Rosa कहा as she ran up to Jack as he walked in through the door. "Hi sweetie!" Jack कहा picking Rosa up. "What did आप and mommy do today?" "We talked about रंग for the शिशु room and we felt the baby kick!" "Really? That's great! What रंग did आप choose?" Jack asked, walking into the living room with Rosa still in his arms. आप two girls soon ready?" Jack asked, standing in the porch, wearing his tuxedo. "We would have been ready sooner but Rosa wouldn't let me put her dress on." Rose कहा as she walked out of the hallway with Rosa in her arms. Even though Rosa was only one साल old, she looked liked her mother; blue eyes, red hair and paler skin. "Aren't आप supposed to be dressed as well?" The door to the house opened. Jack walked into the house, tiptoed up to Rose and grabbed her द्वारा the waist, and kissed her check. "How was your day?" he asked. "Right, exactly one साल to the दिन we met, we planned it like that, so what does that have to do with anything?" "Rose, Rose, look." he whispered in her ear. "What?" Rose asked, a little groggy. "Look Rose, there are the lights, we're in New York!" Jack कहा with excitement in his voice. "We are? We are!" Rose said, waking up. "Come on, let's go get a closer look." 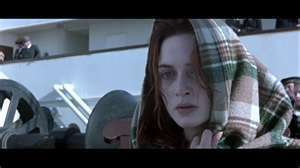 Jack कहा , taking Rose to the side of the ship. "Jack, Jack, there's a नाव Jack." Rose कहा to Jack. Jack opened his eyes, almost froze to death. "We need to.... Get their attention....". Rose got off the door. "Rose! Where are आप going?" a pop quiz question जोड़ा गया था: Who told Rose that Jack had been framed for "stealing" the दिल Of The Ocean when in reality Lovejoy placed it in his pocket? a poll जोड़ा गया था: (Part 2) Which picture of Jack and Rose is your all-time favorite? a poll जोड़ा गया था: (Part 1) Which picture of Jack and Rose is your all-time favorite? Who is Rose hiding from in this picture? She is waiting for Jack. Countdown to 4 000 प्रशंसकों !